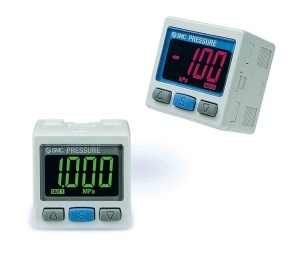 Digital pressure switches monitor positive and vacuum pressures, displaying instantaneous readings, as well as transmitting output signals when critical set points are detected. 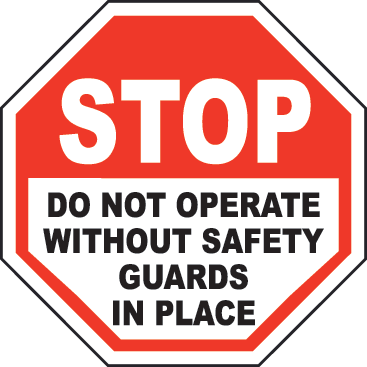 Switch outputs can trigger machine controls for continuing operation, emergency response, or maintenance. An amazing set of capabilities are packed into an inch-sized cube. For more information or to order your SMC ISE/ZSE30A Digital Pressure Switch, call Innovative-IDM at 877.906.2100 or email us at info@iidm.com. Click here to see the full “Application Overview: Cartoner” from Yaskawa. The cartoner utilizes the carton belt as the master axis to drive the remaining axes. In-feed conveyors align product to the carton belt pockets, cartons are placed in synchronization with the carton belt pockets, the push plate pushes product in synchronization with the carton belt pockets, and the flap tuckers and glue applicators are all run based off the position of the carton on the master carton belt. This application lends itself to one central point of control that is capable of gearing and electronic camming to control and synchronize multiple axes for high throughput. Incorporating the Yaskawa Sigma II and Legend lines of amplifiers and servomotors introduces the highest quality servo equipment in the industry to increase performance and reduce downtime. In addition, Yaskawa motion controllers can be integrated into larger control systems using Yaskawa machine controllers as well as a variety of communication capabilities, to provide ultimate connectivity and complete Yaskawa solutions. Innovative-IDM is your #1 Yaskawa supplier. Call us at 877.906.2100 or send us an email at info@iidm.com to order your Yaskawa Sigma II and Legend products today! The IZS4 family is SMC’s 3rd generation of bar ionizers. Bar ionizers generate a curtain of static eliminating ions effective for a distance up to 2000mm / 6.5 ft. The family includes the standard IZS40 model, the IZS41 with feedback or autobalance sensor and rapid static neutralization, and the IZS42 with low amplitude ion generation for sensitive electronics. The IZS41 and 42 are remote control capable, and can be linked via cable for operation from a single power supply. Needle cartridges are easily removed without tools for cleaning or end-of-life replacement. Hi, I’m Jeff Rodgers with Innovative IDM. You know, a true dichotomy really does exist between the age old question of should I repair my electronic component or just throw it out and replace it with a new one. Well first thing is, if you have an electronic component go down, we all know that time costs money. So, priority number one is get back up and running. If it’s that critical of a component, hopefully you’ve got a spare on the shelf to replace it with. If not, you probably have bigger problems than just that question. So let’s say you replace the component with your spare that’s on the shelf and now you’ve got a bad component. Well should you just toss it, or should you have it validated for repair? Well, the one thing you might want to consider is, if you are going to have it evaluated for repair you want to make sure that that piece of equipment goes to a reputable firm that’s done it for a long time, offers you a warranty on that product, and is not going to just repair it but really refurbish that piece of equipment. You want to make sure that when it comes back, one component that was fixed can’t allow another component to fail right afterwards. So all the wear components really need to have been replaced. Now a good rule of thumb is that you probably want to make sure it’s not going to cost you over half the price of a new piece of equipment or it may not really be worth it. So just kinda really keep that in mind. So real common components that you could have evaluated for repair are going to be variable frequency drives, touch screen HMIs are another big one that can be a failure point and can prove to be pretty expensive to buy new. IO cards, processors, temperature controllers, any kind of controllers in general, motion controllers, process controllers, all of the above. So, another thing you really ought to think about is you know when it comes to cost, not just what its gonna cost to repair the component but if you did need to replace the component, is that component obsolete, is it even made anymore? So if it’s not made anymore, then if you need to replace that piece of equipment and you have to go to something new, now you’ve got to think about cost in terms of time and resources needed to make that work with all the equipment. Is there going to be any new programming that is involved and do you have time to do that while your lines down. You know all your up and down stream equipment is it going to work properly with that new piece of equipment. A lot of times that’s not the case, it may be a variable act of congress to get that new piece of equipment to work with that old piece of machinery. So if it is obsolete you may really want to think about getting that component repaired because a lot of times you can keep that component repaired. It’s more than likely if you know its repaired by a reputable firm it’s going to have the same amount of warranty on it as a brand new product would, and it’s probably going to be the fraction of the cost of a new component. So, again repairs can be a great way to reduce maintenance budgets. The cost associated with replacing electronic components especially if you have an event like a lighting strike that can take out a slew of different components on a single drop can prove to be extremely costly. So just remember that, that way if you do have a piece of equipment that goes bad you can replace it with what’s on the shelf as a spare, and then have your bad unit repaired and now that goes back onto the shelf as your spare. So now your spare just cost you a fraction of what it would have cost brand new off the shelf in the first place. So, Innovative-IDM is one of the premier service organizations out there for repairing industrial electronics. One thing that you can do is visit our website, which is innovativeidm.com/repairs and that will get you into our repair center. Once you’re there, you can look up certain components that we’ve actually repaired in the past and see what it’s going to cost to repair that component without even having to send it to us. If you do send it to us, it’s going to be a free evaluation, typically it takes us 24 – 48 hours to evaluate something for repair. And then, we are going to send you a quote on that and you can elect to have it repaired, returned, or scrapped, it’s your choice. If we do repair something for you, it’s going to give you a new one year warranty on a component from the date of repair. Another thing is, there’s an easy online tool that you can use to actually log in, enter in your email address, and it’ll locate all your information and you can basically just enter in the information about the components you’re going to send in, hit submit, and it will print out a service ticket that you put in the box with the component you’re going to send our repair depot in our Houston facility. The shipping address is right on it, so you don’t even have to wait for a representative from our company to come out and pick that piece of equipment up. Of course, if you are working with one of our field representatives they would be happy to come by and pick the component up, and bring it in for repair if they can fit it in their vehicle. So, any questions you have on that again you can visit our website or contact one of our representatives and we’d be happy to assist you. After all we are Home of the Legendary Customer Experience.